White River National Forest offers unrivaled outdoor recreation over two million acres of land near Vail Colorado. The scenic beauty of the area along with its leisure opportunities accounts for its consistent ranking in America's top 5 areas for recreational use. The Forest provides an excellent variety of all-season activities with opportunities for sking, hiking, camping and many other pursuits. White River National Forest encompasses no less than eight wilderness areas, including Eagles Nest and the Holy Cross, and is widely considered to be the birthplace of the US Wilderness Area System. The scenic beauty of the area, along with ample recreational opportunities, account for the fact that the area consistently ranks as one of the top five forests for recreational use in the US. 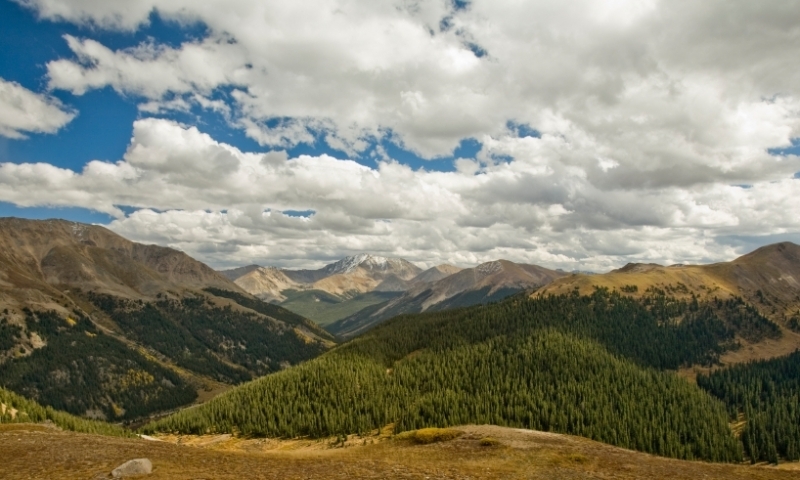 White River National Forest covers more than two million acres around Vail, Colorado. Located in the heart of the Colorado Rocky Mountains, around two to four hours west of Denver on Interstate 70. The National Forest is open all year round but is subject to road closures in extreme weather. Certain activities also depend on weather and seasons. The Forest provides an excellent variety of recreation opportunities in all seasons with eleven ski areas, eight designated wilderness areas, several National Trails, around 70 camp and picnic grounds, the 10th Mountain Division Hut System and over one and a half million acres for general outdoor pursuits. To contact White River National Forest for further information call 970-945-2521. Or find a list of campgrounds and hiking trails. The Arapahoe-Roosevelt National Forest areas offer many great recreational opportunities. Popular national forest area in Colorado's Front Range.